Having students study the health consequences of breathing black carbon from stoves or other sources could be a worthwhile add-on to a discussion of the production and impact of black carbon. Researching impacts of black carbon and whether or not these impacts are occurring in the students' region of the country could also be worthwhile. For example, monitoring towers are in place for gathering data on changes in snow albedo in Grand Mesa in Colorado. The resource reviews emissions of black carbon and its contribution to climate change and public health concerns through the work of Dr. "Ram" V. Ramanathan of Scripps Institute of Oceanography. From unmanned vehicles to measure black carbon in the atmosphere to the consequence of black carbon on snow (decreasing the albedo effect of snow-covered mountains and contributing to early snowmelt), the video covers black carbon's various causes and consequences. The video describes efforts to reduce both environmental and health impacts of black carbon by developing and distributing cook stoves to communities in rural India. 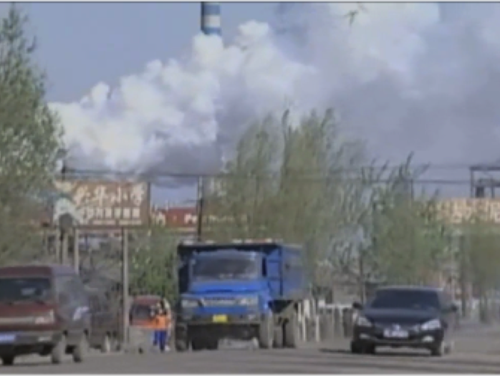 Comments from expert scientist: The video describes the well-known health and climate impacts of black carbon in an accurate but general manner. I feel this video acted more as an outreach tool rather than being a simple, but yet scientific piece demonstrating the effects. This video covers an important piece of the climate change issue that is not often presented. It is important to provide appropriate context for this material. An alternate URL for this video is http://www.nbclearn.com/changingplanet/cuecard/52513. This version has a transcript, but it is a bit hard to find the video on the page of all the other videos.